OUR SERVICE AREA INCLUDES BURLINGTON, MEBANE, GRAHAM, ELON, RALEIGH, DURHAM, CARY, GREENVILLE, WILMINGTON, SANFORD, ASHEBORO, GREENSBORO, HIGH POINT, WINSTON-SALEM, KERNERSVILLE, ASHEVILLE AND MANY MORE CITIES IN NORTH CAROLINA. Deliver your speech with Presidential quality and appearance. The design makes it very easy to setup. 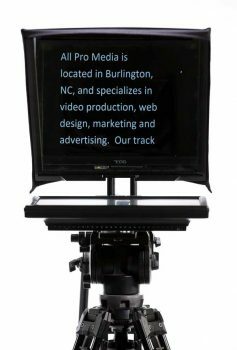 The reversing monitors allow for prompting using text or presentations. The included Flip-Q Pro software is compatible for PC and Mac. 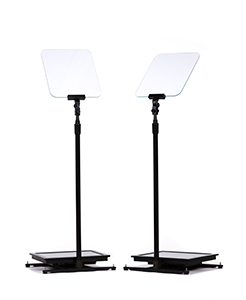 Two teleprompters are included, along with a distribution amp and 25 foot extension cables. The included monitors offer a variety of inputs including VGA, composite and HDMI. The lightweight, long life LED backlit display offers a bright image. 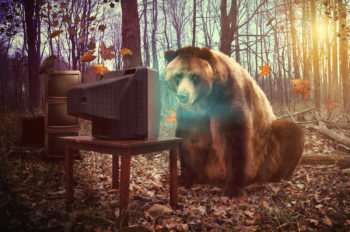 They are also High Bright monitors, which means they may be used outside in bright light. 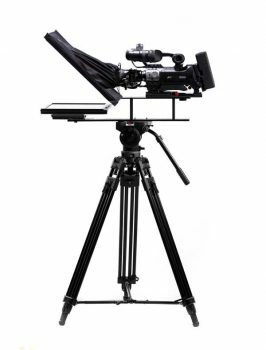 If you are shooting video and recording live audio, the video teleprompter will give you a professional result.